After reading "Eddie’s Country" in December 2005, prominent journalist John Pilger described the book as being: "…one of the most important, authentic Australian books of my lifetime. More than countless studies of Aboriginal Australia, it breaks the silence and is a true epic of tragedy, political betrayal and heroism. Here is the secret life of Australia, and no reader can remain a bystander." Aboriginal and Torres Strait Islander viewers of this page should be aware that seeing images of deceased persons or reading their names may cause sadness or distress and in some cases may offend against cultural prohibitions. All viewers of this page should be aware of the cultural sensitivity of some of the issues and material which it discusses. Please be aware of the sensitivities of the living relatives and friends of those whose stories are recorded here. 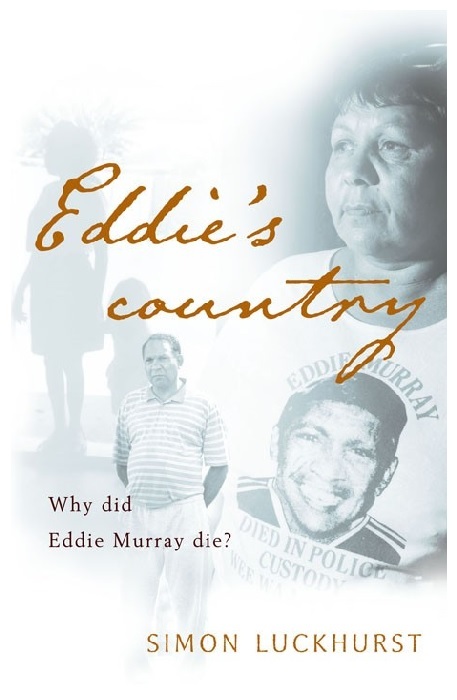 Eddie's Country is the story of the Aboriginal activists Arthur and Leila Murray, the parents of Eddie Murray who died in Wee Waa police station lock up in 1981. 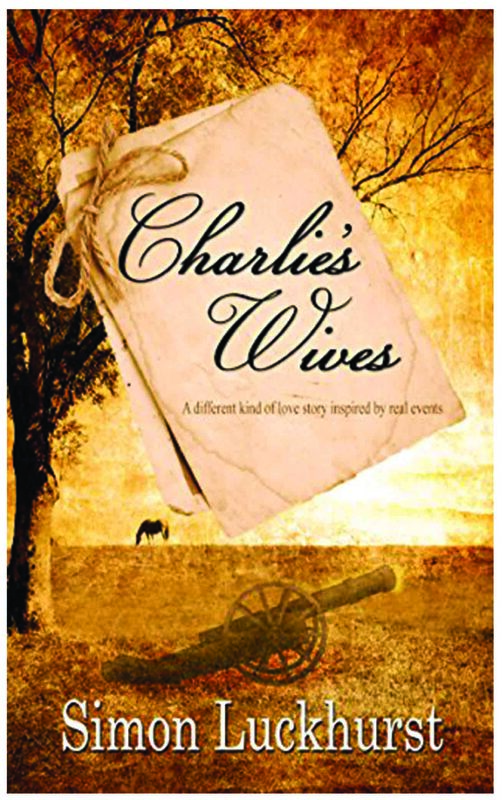 The Murray family were first recorded in northwest New South Wales in the 1850s. After the formation of the Aborigines Protection Board, the family were forced onto missions and reserves. Arthur was born onto the Brewarrina Mission and given up for adoption. Leila's father, Charlie Clarke, was one of less than a thousand Aboriginal servicemen to fight in France in World War One. Arthur and Leila became prominent in Wee Waa after moving there to work in the cotton industry in the early 1970s. They became known as agitators for better working conditions, higher rates of pay and access to housing for Aboriginal people. They saw Eddie’s death less than an hour after being detained for being drunk as highly suspicious. Police claimed he had hung himself, but Eddie had never exhibited self destructive tendencies. Police evidence at his inquest which was contradicted by other police and civilians only caused the Murray family to question the circumstances more. After the NSW government failed to investigate the matter fully, the Murrays became prominent in the call for a Royal Commission into Aboriginal Deaths in Custody. Arthur was also briefly gaoled for offences alleged to have been committed during the Brewarrina riot, although the charges against him were later quashed. The Royal Commission hearing into Eddie’s case asked as many questions as it answered, and left the family and their legal team dissatisfied. An exhumation of Eddie's remains in 1997 revealed injuries undisclosed at the original post mortem, and in 2000 the matter was referred to the NSW Police Integrity Commission for further investigation. Eddie's Country is a detailed history of the complex social, historical and legal issues experienced by members of the Murray family. It attempts an unbiased and comprehensive exploration of the Eddie Murray case, which incorporates a socio-political context as well as a personal one. For the first time all the available evidence on the case has been brought together, and the result is both revealing and moving. Arthur and Leila's story has been the subject of many newspaper articles and television stories, including ABC-TV's Messagestick program. Buy the paperback from Magabala Books here or email info@magabala.com. 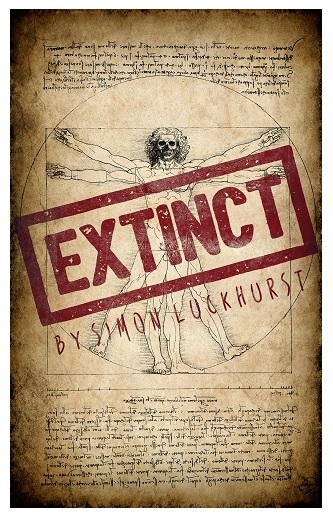 Buy the paperback from Amazon here. Eddie’s Country was short-listed for the 2007 Books at Melbourne International Film Festival Breakfast where it was pitched to a number of leading film producers. It is a fantastic opportunity for publishers to get their books noticed, considering how hard it can be to get books into the film industry, said Bronwyn Houston, Marketing and Promotions Coordinator for Magabala Books. 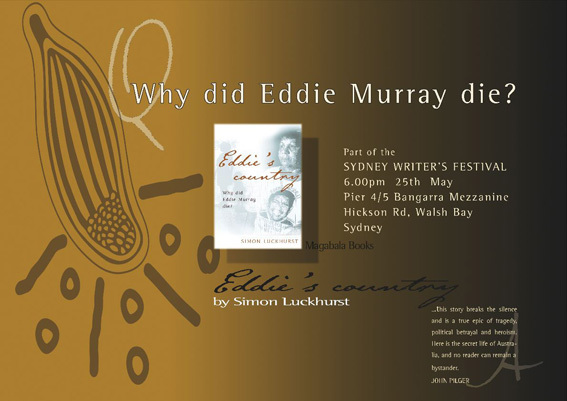 Poster for the launch of Eddie's Country at the Sydney Writers' Festival, May 2006.